A good mug is dishwasher-safe. A great mug conjures the feeling of a warm sweater and good book while looking beautiful on your coffee table. As August draws to a close, I'm beginning to look forward to autumn. For me, that means spending my days drinking tea and hot chocolate. Our cupboards currently house a motley crew of chipped collegiate mugs for this purpose. Although they win marks for sentiment, it's time to graduate to more grown-up mugs. 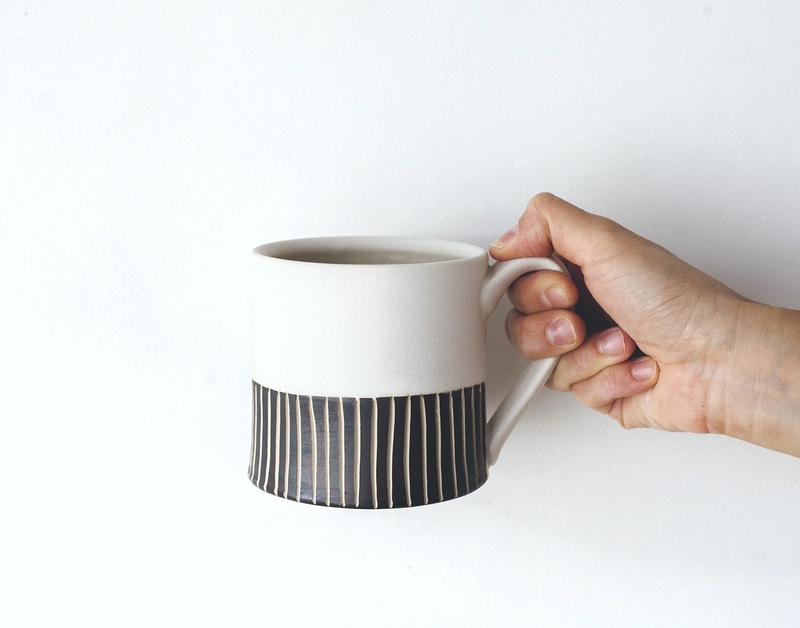 Here's a roundup of neutral mugs that are both earthy and modern. All are handmade, except the last one from Urban Outfitters that comes at a bargain price.